The Heart of Hospitality on West Street has many a tale to tell – from stories of heartache and joy to sheer miracles. Established some 20 years ago, it is more than just a house, it is a home. Providing accommodation from one night, up to what has been eighteen months for some, it is the vision and “heartiness” of Sr Clare Nolan and Sr Deirdre Hickey that has sustained the many women who come through the doors. Looki ng for a place to make their own, the Sisters seized the opportunity to formally develop two townhouses on West Street. Run-down and in serious need of love, the idea was simple, its creation, a challenge. The two moved into the house which was in need of repair and set to work, clearing up to 50 refuse bags of rubbish a day. Relying on the support of the hospital community, the house was furnished. After one month in the house, the Sisters spent Christmas with family and returned to find guests at their door. The house had already made a huge impact and word had spread fast. Renovated to create one large home, the townhouse accommodates six guests. Individually welcomed by the Sisters, the homeliness is clear from the moment one walks through the door. Numerous pot plants flowering at the front door are expressions of gratitude from the many women who have stayed at the House of Hospitality. Hugely supported by the Sisters and the other women, the house positively impacts the lives of those who walk through the front door. “It is a great network, they are all very caring of each other and they can support each other. 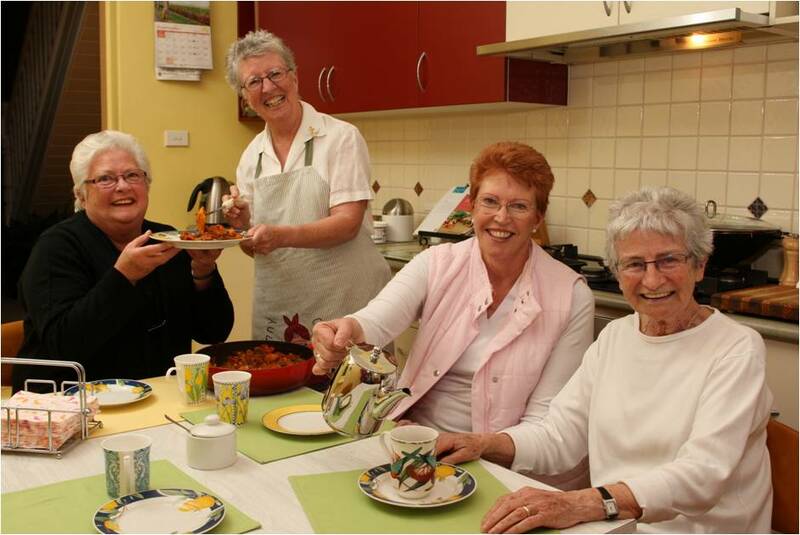 They form a very strong bond and many of them keep up their friendships,” explains Sr Clare, who is now the Congregational Leader of the Sisters of Charity of Australia. Accommodating a countless number of women over the years, the house has reunited long-lost friends, reconciled families and hosted two women whose husbands each received a lung from the one organ donor. Witness to the many stories Sr Clare often tells the women not to lose hope, “because miracles happen here.” More than just a house, it is a home of friendship, of hope and of healing. Like many of the guests, Raywin Fred and her mother Nancy, who arrived from Papua New Guinea and stayed with the Sisters for 18 months, remain in close contact with Sr Clare and Sr Deirdre. Raywin named her first born after Sr Deirdre.